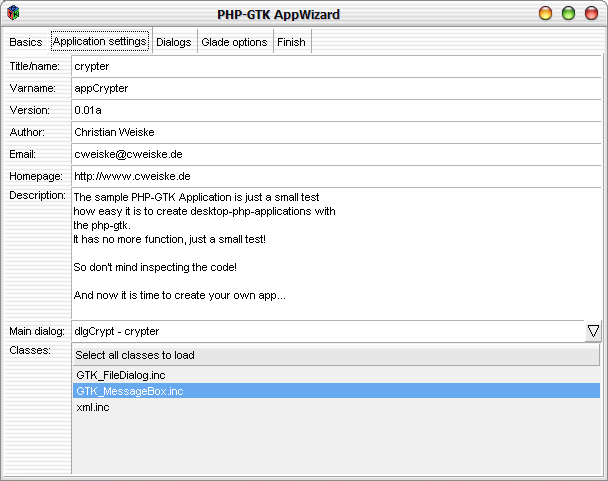 AppWizard is a tool for creating the php-code for a libGlade .glade file. 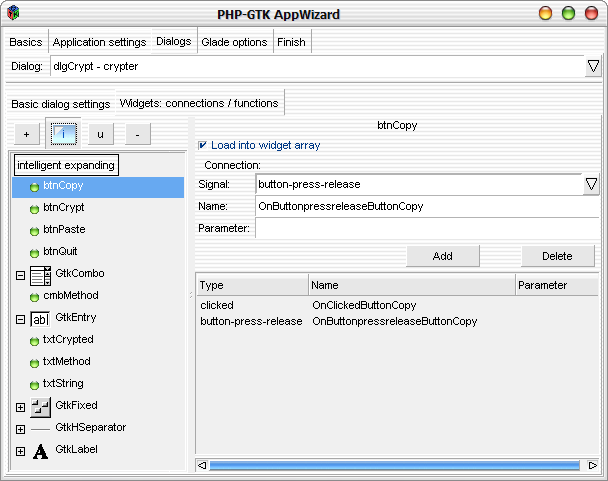 You just design your GUI with WinGlade or so and the AppWizard creates the basic code framework for you. Benefit: The initially work is done - the program runs - and you can concentrate on programming the real functions! This is the third release of this application. It does the basic + some advanced things, but there are probably many things that can be better. If you find a bug, wish to have a feature or got a new function template, drop me a line! To see what is new, have a look at the changelog. And read what other people think about it!